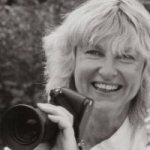 Marianne Ström is an art historian, writer and photographer, with a PhD in history of art from the Pantheon-Sorbonne University. Born in Sweden she lives and works in Paris. She is the author of a number of books, articles and exhibitions, which focus on art and architecture in public space – title of her first book published by French editor Bordas-Dunod. Her exhibitions have been presented in a large number of cities around the world. She has been awarded by the grade Chevalier de l’ordre des Arts et des Lettres.